And it has everything a contrarian investor could want. Its value has been slowly and consistently trending higher. Over the last decade, its run-up has been more consistent than gold. During 2008's credit crisis, it actually went up. Best of all, recent government policies will make this one of the top performers in your portfolio for years to come. A few years from now, we’ll recognize this as a turning point — like gold and oil in 2001 and stocks in the early 1980s. The bull market I've been describing is electricity. It's been picking up steam right in front of our very eyes. And what you’re going to see play out over the next couple of years will drive your electricity bills up 100%... or lead to brownouts and blackouts. Average electricity prices have risen 37% over the last decade. Electricity is just like any other commodity. Like food and oil, it’s essential. Customers buy it consistently, and its price is set by simple supply and demand. 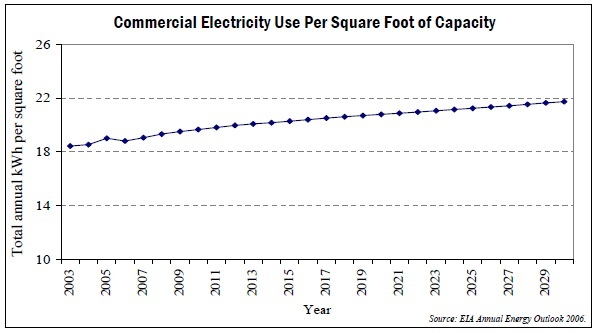 The largest driver of electricity demand going forward will be commercial demand. Just look at manufacturing (yes, manufacturing). Despite overblown and woefully wrong “America doesn’t make anything anymore” reports, industrial output has grown steadily for a long time. And that fact is not going to change any time soon. In our recent analysis of the future of U.S. manufacturing, we found domestic manufacturing production increased consistently for decades. Manufacturing output increased at an average real (after inflation) rate of 3.1% per year between 1959 and 2009. Even over the last 20 years, amidst the overhyped decline of U.S. manufacturing, real manufacturing output rose at a rate of 2.7% per year. But it's this very situation that’s bullish for electricity. The manufacturing productivity boom has been driven by the increasing use of technology and automation — both of which require more electricity per unit of output. There’s also the ongoing boom in technology and telecommunications to keep electricity demand on the rise. Simply put, electricity demand will continue to rise. In 1998, total electricity capacity was 775 gigawatts; by 2010 it rose 32% to 1,025 gigawatts. This steady increase in capacity combined with rising prices shows how strong electricity growth has been — and how closely matched supply and demand are. Thanks to a number of new regulations, electricity supply won’t just be limited to the normal protests of NIMBYs (Not in My Back Yard) and BANANAs (Build Absolutely Nothing Anywhere Near Anything)... It will start shrinking. Over the last few years, the Environmental Protection Agency (EPA) has declared War on Coal. Basically, 8% of generation capacity will be cut out of the market. And this will happen at a time when demand is on the rise. The net result: an explosion in prices and sizable profits for investors getting positioned now. The price increases are going to be staggering. Remember what California went through a decade ago when Enron artificially cut supplies? 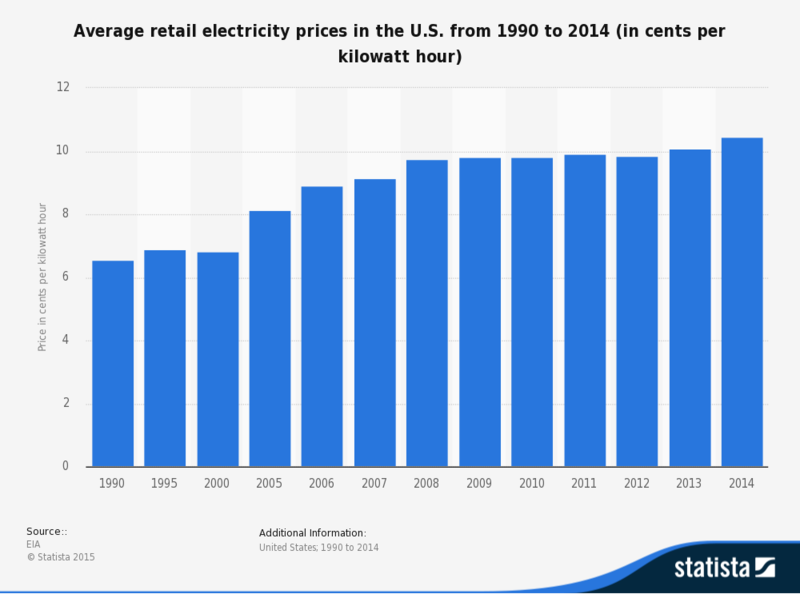 American Electric Power, a large utility company, estimated the combined cost of the regulations and would cause its electricity prices to increase 10% to 35%. It’s time to get into "boring utility companies" — because they’re not going to be "boring" for much longer. Just as oil companies benefit from rising oil prices and gold miners benefit from rising gold prices, electric utilities will benefit from rising electricity costs. The difference will be the coming price surges for electricity haven’t been priced into utility stocks. For example, utilities make up just over 3% of the total market value of the S&P 500. That’s nearly 50% below its long-run average as a percentage of the S&P 500. When a sector reaches bubble highs, it will easily make up two to three times more than its long-run average share of the S&P 500. Utilities are at the exact opposite end: They are well below their long-run average shares of the market. Also, utility stocks’ dividend yields are reaching levels when the sector is trading at or near market bottoms. Yields in high-cash-flowing sectors like utilities are one of the best measures of relative value. When they’re up, the sector is cheap (and vice versa). Right now, utilities are cheap. They currently pay out an average of 4% dividends across the board. The only two times they’ve been higher in the last decade were at the market bottom in 2002 (5.2%) and in 2008 (5.1%). Furthermore, when it comes to downside risk (the top focus of every major money manager and investor), utilities shine. The utility sector’s beta (a measure of how closely correlated a stock or sector is to the overall stock market) sits at 0.56. A low beta like this one means if/when another market correction of 10% comes, utilities would likely only fall just over 5%, a great margin of safety indeed. In an era defined by volatility and low interest rates, utilities' steady performance and high levels of income will become very attractive to investors. And they’re on the verge of becoming a new safe haven. Gold has become a speculative vehicle. Although the fundamentals are in place for years of gold gains — and any correction should be welcomed as a buying opportunity — gold will sell off many times in the future. Some of these gold corrections will be over 10%. Treasury bonds are even worse. They’re a ticking time bomb. When interest rates do rise (and they will) Treasury prices will collapse. Merely returning to the average interest rate levels of the past decade would cut the values of Treasuries in half. With real interest rates in negative territory, they are actually losing money each year anyways. Treasuries are the furthest thing from safe. But last week, a new “bubble marker” was set in Iowa when a farm sold for $20,000 an acre. Iowa farmland was selling for an average of $1,926 an acre back in 2001. One of the few safe havens is and will continue to be utilities — especially electric utilities. And with electricity prices to spike higher, not only are they safe... they will be extremely profitable. The name of the game is buy low and sell high. Utilities are low, and rising electricity prices will push them much higher in the years ahead.